Another of those values that has seeped into everyday life from start up culture is the cherished status of risk. You know the inspirational quotes people like to post on Twitter “the biggest risk is not taking a risk”, “those who will not risk, will not win” etc. And I get it, personally and professionally it’s useful to take risks. But I’ve also been struck by how this deification of risk is really a proxy for justifying privilege: I deserve it because I was willing to take the risk. 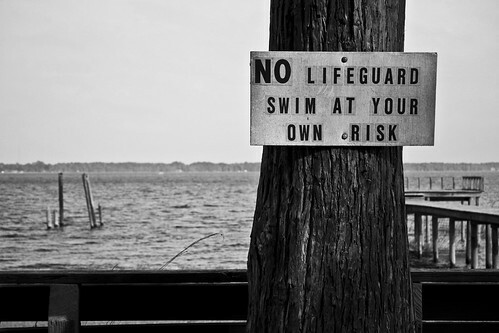 But risk is itself, often a privilege. The research that concludes that entrepreneurs don’t have a propensity for risk, they just have wealthy parents backs this up. It is less of a risk to start a company if you can be supported while doing so, and have fall back options. But it’s not limited to taking risks with your own career, it means they’re happy to risk other people’s welfare too. Sherri Spelic highlighted this piece in which a US senator talks about how he had no idea healthcare reform could be so difficult, and had no experience in doing it. But he went ahead and tried anyway. You just know that rhetoric around risk would have been bandied about, “we can only make great change by taking great risk”, that kind of thing. But of course, he wasn’t taking any risk. What he was risking was the lives of many americans. A senior manager once told me they loved risk, and I remember thinking, ‘but you aren’t affected by it’. They’d go on to a well paid job elsewhere, and not only would they be untouched by any failure of their risk but it would likely boost their status. They become a person willing to take risk, which has increased currency. This is not the case for someone who may be made unemployed in their late 50s with little chance of re-employment as a result of the change they sought to introduce. Risk is also a privilege of age. When I worked on T171, the OU’s big elearning course, I did so without it being sanctioned by the OU. After it’s success John Naughton publicly praised the risk I’d taken in doing this, as I was on a temporary contract at the time and could have taken more secure routes to getting a permanent post. But while I felt flattered to be portrayed as brave, the truth is I was young, not yet married and didn’t have any idea that I should be doing anything different. I was naive more than courageous. I’m sure we all have similar stories. And yet, it is tempting as you get older to confer a status of glory to this, that is unmerited. Brilliant Martin – thanks for posting. Great post Martin that, resonates firmly with me. All I can say is “better to burn out than to fade away” – fast approaching 50, heading for unemployability, but not going to stop pushing “risky” projects. Colour me “naive more than courageous” I guess. This is another one of your imminently reasonable posts that takes aim at a real target, the rhetoric of risk, but hedges with “Which is not to say we should all be cautious and people or institutions should never venture to do unusual things.” I get it – the rhetoric of “risk” (or “disruption” or “innovation” etc) is co-opted by both the privileged and the carpet-bagging upstarts, for sure. But can’t it also be true – there are some major problems and incrementalism may not cut it either, and there is privilege attached to incumbency and old age too, that doesn’t want to change? This is what’s bugged me about your and others’ critiques of these terms – it’s not that the critique is wrong, per se, but it ends up inadvertently justifying existing conservatism and inertias. Like, what’s that old saying, “no one ever got fired for buying IBM”? There is risk in NOT acting, or acting inadequately, too, yet because the timeline for that is usually much longer, no one gets to wear it. Hi Scott! There is a lot in what you say, and I think I’m inherently a cautious person so I’m probably trying to justify that. As you point out my intention was to criticise the co-opting of the term, and in particular the way that for senior managers it encourages them to play risk with other people’s livelihoods, and whatever the outcome, the risk taking is itself the virtue. But that might encourage conservatism – I just wanted to push back on the dominant(?) narrative that risk itself is good, particularly when it’s other people who bear the cost of that. What you say in your final para is the key I guess – accurately gauging the risk and its impact. Prof. you got that just right. I am no where close to being safe or achieved anything of worth but I can tell you for sure nowadays I can try stuff I dare not few years ago because if they don’t work I have a little fall back plan. One might be tempted to conclude that the whole thing is really very simple – that the more secure a thing is, the greater you can risk fiddling with it. Very true for Computer networks for example. I don’t see having nothing to lose as privilege these days, because there is so much less opportunity now than in the 80s, and so much more taylorist efficiency. As I see it, senior people in orgs having a lot to lose and then failing to be open to possibilities, or being so keen on stability that they fail to make any opportunities or leave any cracks to widen or wild bits for colleagues to exist in is the bigger influence on risk taking. Who is ed? There are so many who came from nothing who write about taking risks but then you get blog posts like this.